The Genesis Fertility Research Center can provide you with full range of Infertility Investigations and treatments. 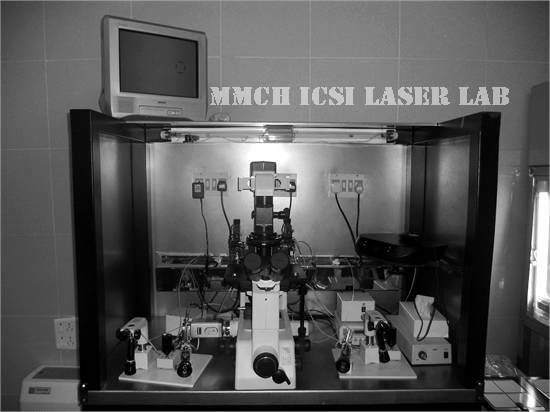 Our IVF Lab is one of the most modern , completely equipped Lab of INDIA . We pioneered the use of TRIGAS incubator system in 1998 first of it’s kind in India in addition to the routine CO2 incubators. In that, we utilize 5% O2, 6 % CO2 and 89% N2 which gives the embryos an ideal environment,as it finds in the mother’s Fallopian tubes . Now we have four Trigas Incubators and five Conventional CO2 incubators which serve our infertile population in the most efficient way. 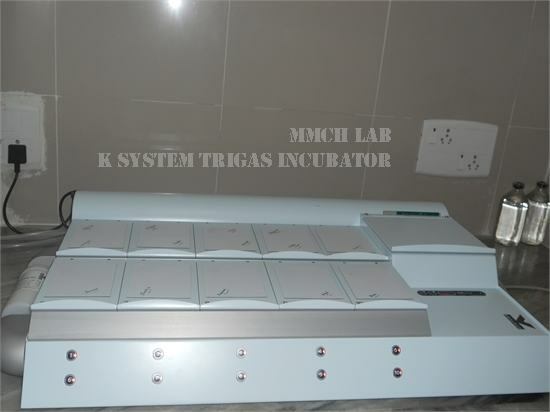 We have introduced the latest “K-System G185 Trigas Incubators” with the most modern Embryo Culture Facility. ntegrated Vertical laminar flow work stations, Positive pressure Ventilation and the latest Nikon Inverted Microscope with motorized Micromanipulators aid our genuine Embryo Culture System to lead with the best “Take home Baby rates”. 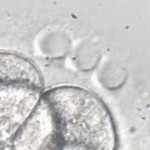 We adopt “Sequential Embryo Transfer” technique where in third day Embryos are transferred to the uterus as FIRST ET, followed by fifth day Embryo transfer called BLASTOCYST – transfer, a viable ball of cells containing more than 60 cells as inner and outer mass divisions. This second EMBRYO TRANSFER is the latest modality which is a hall mark for our whole Infertility treatment system. Very few couples may not have the opportunity to have the second ET with blastocyst which is already explained to them, if the number of eggs retrieved are less or the integrity of the growing embryos are poor. We also help the couples by providing complete investigating modes for infertility under one roof in the specified manner , like Operative video hysterolaparoscopy which corrects tubal blocks, endometriotic lesions and intrauterine lesions & septums. Male infertility couples are also benefited since we have facilities and specialists for Surgical Sperm Retrieval procedures like TESA, MESA etc to use ICSI procedures as per their sperm counts in the ejaculate or extracted secretions from testes or epididymis. This procedure really helps the couple who have no sperm at all in the ejaculate, a condition called AZOOSPERMIA. Our Genetic Department takes care of Pre Implantation Genetics study of the Embryos in families with Hereditary / Familial Diseases, or in couples with repeated miscarriages and Bad Obstetric History. The outer covering of embryo is called Zona pellucida which is a cover protecting the integrity of the blastomeres inside. They should be dissolved or breached before the blastocyst get attached with endometrial lining of uterus for proper nidation. When they are resistant for natural enzymes in the endometrial cavity which help in dissolving this,or when the women concerned is aged whose eggs may have harder & thicker zona, we may have to dissolve the zona partially before transferring them in to uterus. It is believed to help nidation in time.